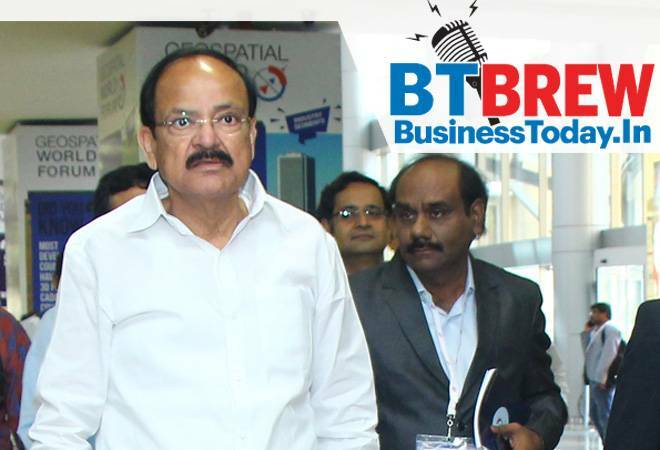 Vice President M Venkaiah Naidu on Thursday said the banking system is facing problems due to "mindless lending earlier" and banks should learn from their experiences so that such issues do not reoccur. He added that the banking system was going through a transformation. Naidu suggested that India must take initiative and the entire global community must come together to enable automatic exchange of information with regard to bank accounts in different countries. An orderly depreciation of the rupee would increase competitiveness and relieve some of the pressures in capital market, according to a top World Bank official who described it as a "positive development" if done in a right way. The remarks by Martin Rama, the Chief Economist for the South Asia region of the World Bank, came as the rupee hit an all-time low of 74.45 against the US dollar on Thursday. He further said that South Asian countries may be tempted to slow down the devaluation of their currency, because that translates into inflation, and is not very popular. The Enforcement Directorate (ED) on Thursday said it has attached properties to the tune of Rs 54 crore belonging to Karti Chidambaram, son of former Finance Minister P Chidambaram, in India, Spain and the UK following investigations into a money laundering case related to INX Media. The premium investigation agency issued a provisional order under the Prevention of Money Laundering Act (PMLA) for attachment of agricultural land and bungalow in Kodaikanal and Ooty in Tamil Nadu and a Rs 16-crore flat in south Delhi's tony Jorbagh locality which is in the name of Karti and his mother Nalini. Karti, the ED said, has a 50 per cent share in this property. The United States has said it will review Pakistan's bailout request to the IMF from all angles, including the country's debt position, as it appeared to have held the huge Chinese debt responsible for it. This is something the United States has been tracking fairly closely. The State Department response on Pakistan's IMF bailout request appeared to be in sync with the statement made by IMF Managing Director Christine Lagarde. Responding to questions on this issue in Indonesia, Lagarde said she would require absolute transparency on Pakistan's debts, including those owned by China. Prime Minister Narendra Modi said on Thursday that modern technologies such as artificial intelligence hold great potential in taking the country to new heights, while allaying fears of job loss due to the advancements. The '4th Industrial Revolution' which includes the likes of artificial intelligence, machine learning, Internet of Things, blockchain and big data will change the nature of jobs and provide more opportunities, the PM said at the launch of the Centre for the Fourth Industrial Revolution. Tech giant Google saw its India revenues grow 29 per cent to about Rs 9,338 crore in 2017-18 over the previous financial year, as per regulatory documents. The net profit was higher by about 33 per cent at Rs 407.2 crore last fiscal as compared to Rs 306.6 crore in the previous year. Advertising revenue contributed about 69 per cent of the company's turnover, while the share of IT-enabled services stood at 18 per cent and that of IT services was at 13 per cent.